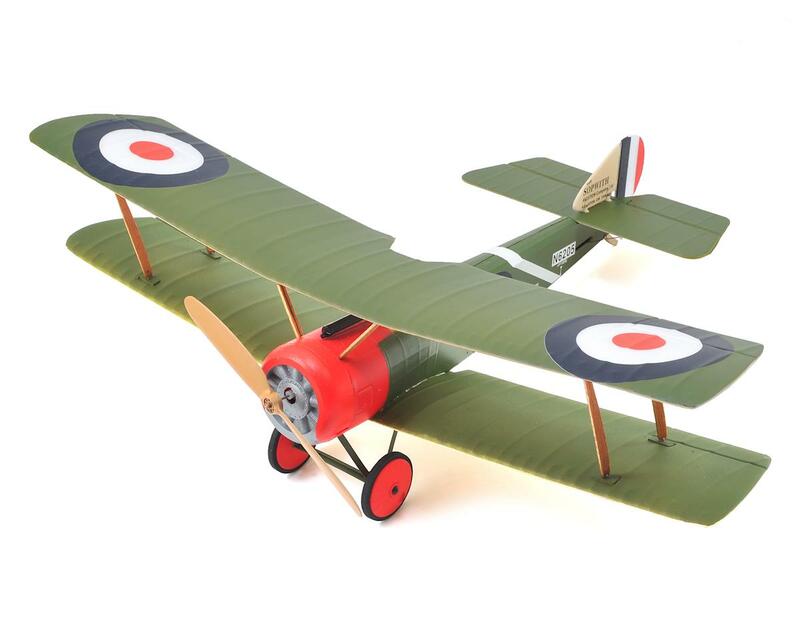 The Ares Sopwith Pup is perfect for aspiring R/C pilots. This is an airplane that checks off a number of crucial boxes. You need it to be easy to fly and forgiving of basic errors. You’ll want it to be tough, able to withstand some punishment, and you’ll demand solid everyday reliability. 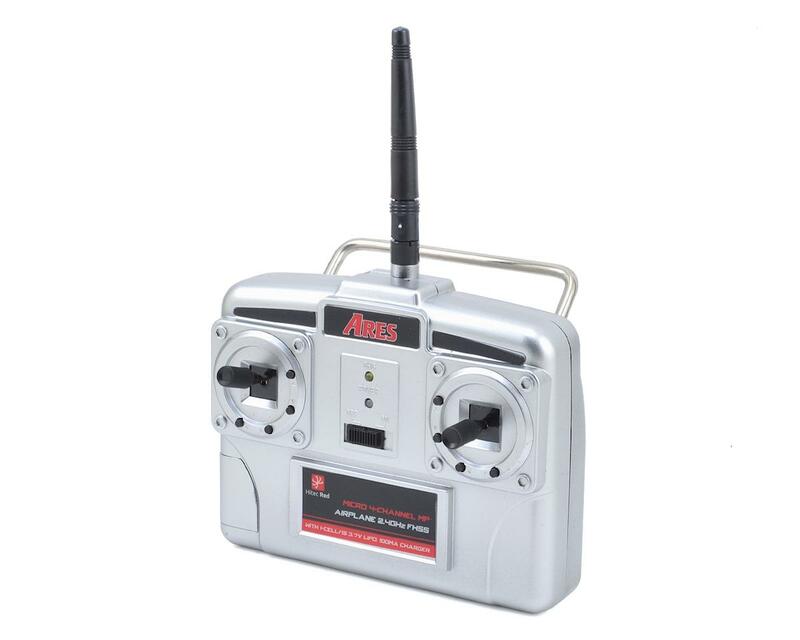 In addition, a good flight duration, speedy assembly, convenient transport and easy storage will be high on your list. To coin a phrase, a ‘beginner friendly’ airplane is what you’re looking for, and the Ares Sopwith Pup is the perfect choice. Supplied 100% factory-assembled, the Sopwith Pup’s advanced EPO airframe is both strong and light, while the rear-mounted motor protects the power system from inevitable heavy landings. Offering superb low-speed handling characteristics and a benign stall, this is an airplane that’s been designed to look after you, give you time to react, and learn at a comfortable pace. Technically advanced, the Sopwith Pup incorporates a Hitec Red 2.4GHz radio system that’s compatible with all current 2.4GHz Hitec aircraft transmitters. 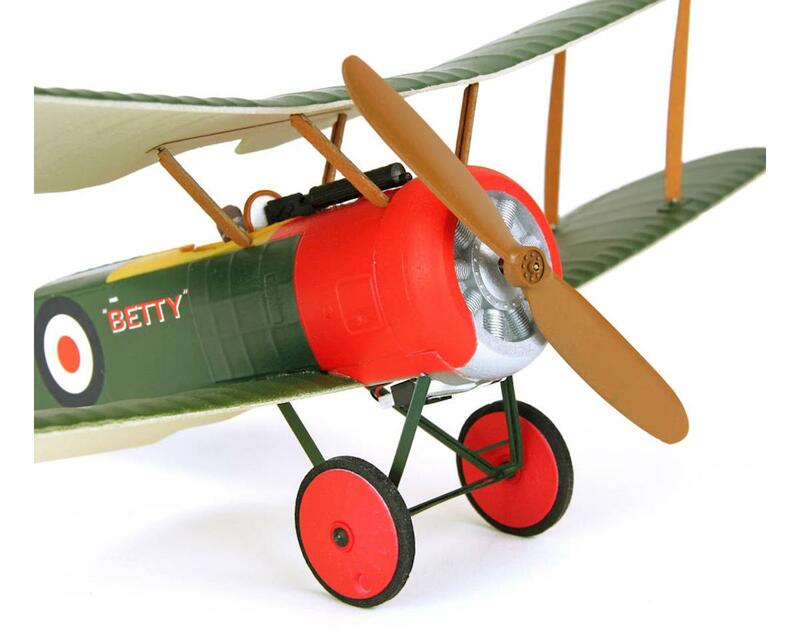 Every Sopwith Pup comes with a powerful factory-installed motor and ESC, a quiet and efficient 6-blade propeller, quality servos, a 1500mAh 3S Li-Po battery, plus a DC balancing charger and AC adapter. So, for first-time flyers looking to get started, the Sopwith Pup checks off all the essential boxes. Sport flyers, meanwhile, will appreciate its gentle, glider-like characteristics and basic aerobatic ability. 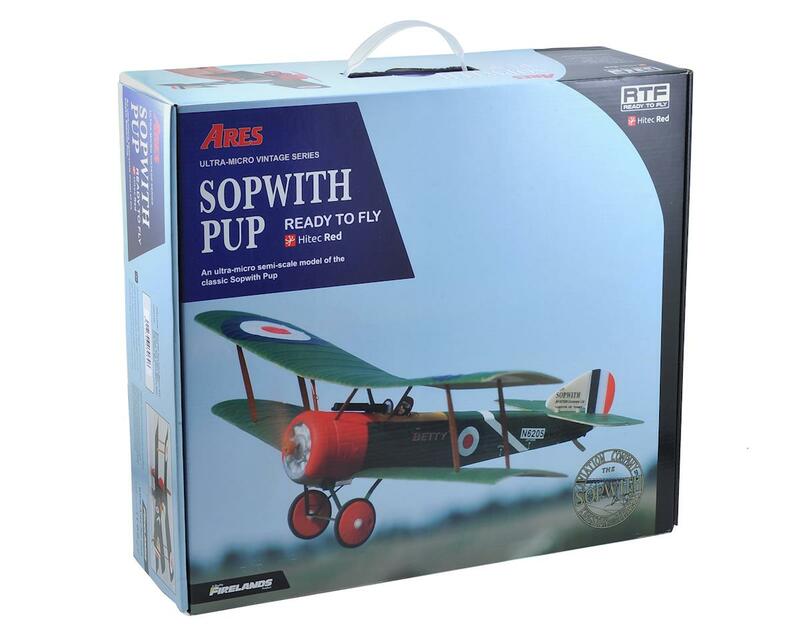 Make your dreams of R/C flight come true with an Ares Sopwith Pup. 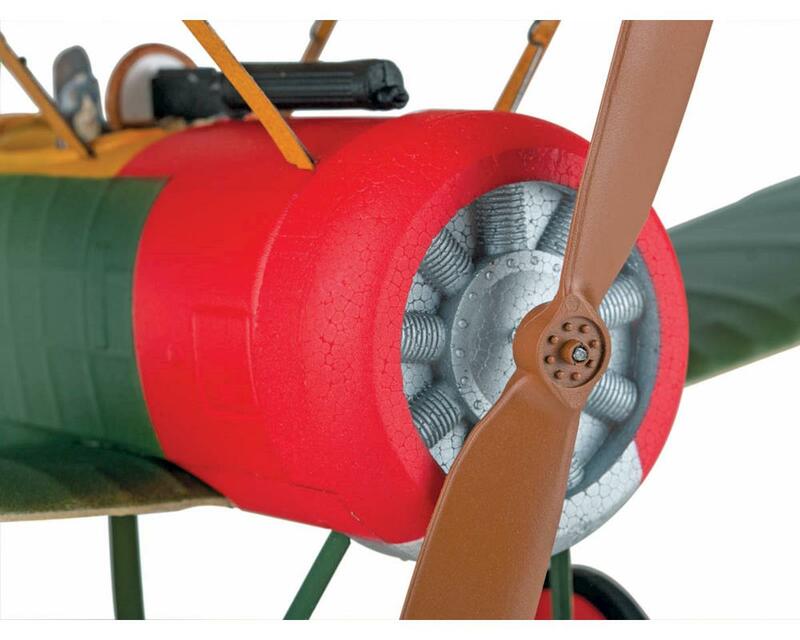 Ready to Fly: Technically advanced, the Sopwith Pup incorporates a Hitec Red 2.4GHz radio system that’s compatible with all current 2.4GHz Hitec aircraft transmitters. Authentic Decals: Authentic Sopwith Aviation Company decals on the fin add even more scale appeal to this ultra-micro vintage series model. Attention to Detail: Molded rib and aileron detail plus the under cambered section of the original make the Pup just as desirable on display as it is in the air. 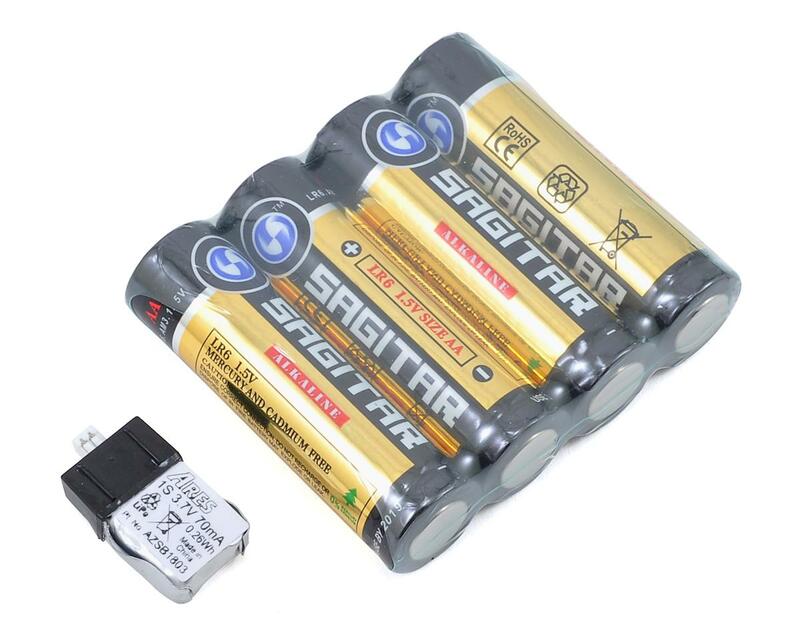 Amazing Duration: Attached by a single magnet, the supplied 70mAh 1S LiPo tucks neatly and unobtrusively under the cowl and provides exceptionally long flight times. 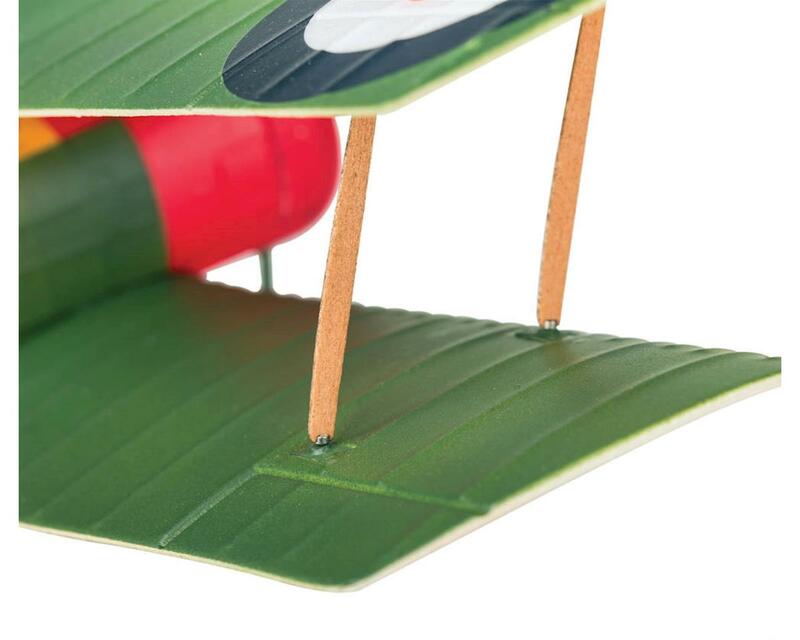 Magnetic Attraction: Clever use of tiny neodymium magnets holds the interplane struts in position and helps minimize damage in the event that you ‘arrive’ rather than land! Exceptional Authenticity: Despite the Pup’s ultra-micro size, little has been overlooked – from the simulated fabric covering on the wheels to the profile pilot and Vickers machine gun, the detailing is crisp and accurate. Design and Development: Thorough flight testing has guaranteed that thrust lines and wing / tailplane incidences are spot on. The result? Gentle and pleasantly assured flight characteristics that you’ll truly appreciate. Nothing! Everything you need to start flying is included in the box!